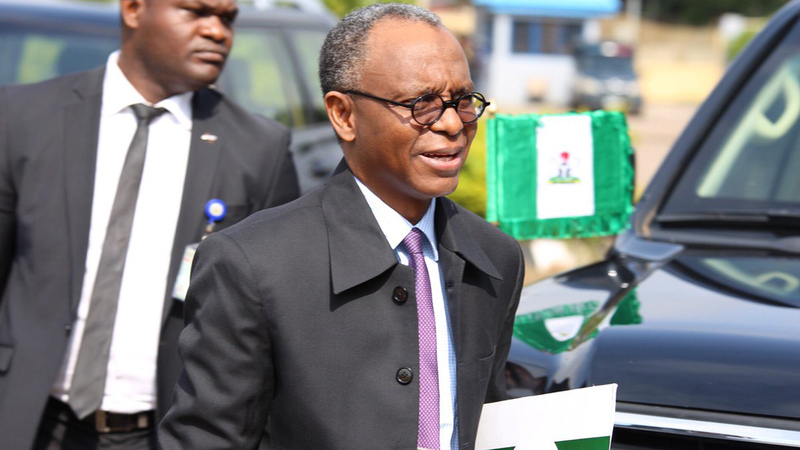 The Kaduna State chapter of the Peoples Democratic Party (PDP) has accused the All Progressives Congress (APC) government of Governor Nasir El-Rufai of allegedly attacking opposition elements and journalists in the state. Incidentally, El-Rufai had earlier condemned thugs’ attack on journalists and a faction of the APC stalwarts led by Shehu Sani who protested the outcome of the councils delegate congress held two weeks ago. Paying a sympathy visit to the state secretariat of the Nigeria Union of Journalists (NUJ), PDP Chairman in the state, Felix Hassan Hyet, accused the the APC of allegedly using thugs to threaten and intimidate party members. He, therefore, warned the APC to stop playing politics of bitterness and learn how to nurture the youths to become useful and productive instead of engaging them as hoodlums. Specifically, Hyet, a former minister of aviation, commiserated with journalists in Kaduna over the attack on their secretariat and donated N100,000 to the NUJ. He expressed sadness over the injury inflicted on a photojournalist by the thugs who were allegedly sponsored and induced by a highly placed politician in the state. State chairman of the NUJ, Adamu Yusuf, said such attack had never happened in the history of the Union in Kaduna and commended the PDP for identifying with the NUJ in its difficult moment. Meanwhile, El-Rufai yesterday condemned the attack on journalists and others by the political thugs. A statement by his spokesman, Samuel Aruwan, quoted the governor as saying that nobody would be allowed to stifle freedom of expression in the state. In a message to the state NUJ, the government condemned the mob action by hoodlums at its premises. “Having been briefed on the situation, the governor expressed sympathy with the NUJ and those that were harassed by the hoodlums. He had directed that security agencies should investigate the matter and take necessary action against the hoodlums. The governor also directed security agencies to beef up security at the NUJ secretariat to protect journalists who are doing their legitimate duties,” the statement added. El-Rufai noted that the media must not be hindered from carrying out their constitutional and professional obligations, adding that the state government upholds the principles of free speech and respects the freedom of expression. “Politics should not be a desperate game and desperation should not be visited on journalists and other citizens,” he stated.